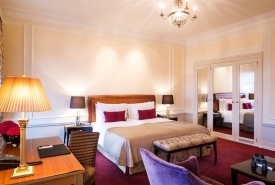 For more than a century, the BELLEVUE PALACE has extended the royal treatment to kings, queens, emperors, and other discerning visitors to Bern. 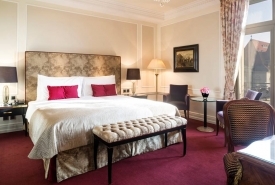 The only grand hotel in the Swiss capital, this Belle Epoque masterpiece is opulent in style and exquisite in its details. Its beautifully appointed rooms are newly renovated and outfitted with every modern comfort, from high-speed Internet access to heated bathroom floors. Many offer breathtaking views of the Bernese Alps, the lovely Aare River or the city’s charming Old Town, a UNESCO World Heritage Site. 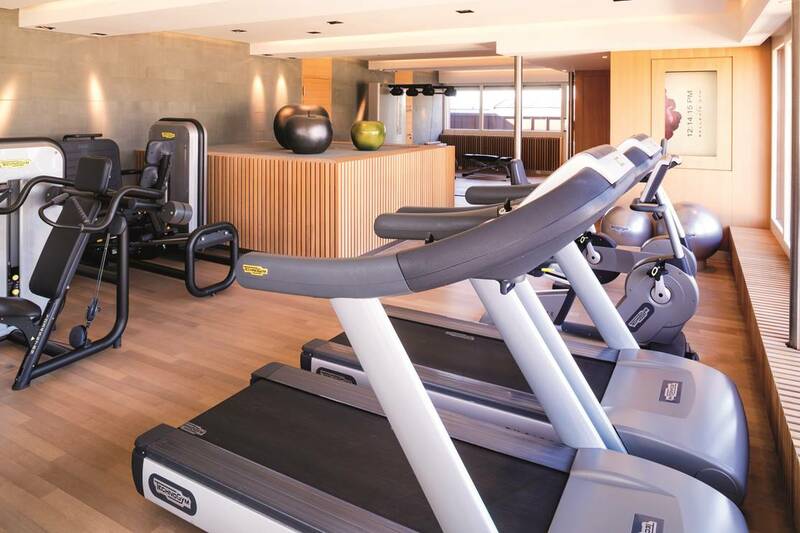 Keeping fit is fun in Bern – especially in the beautiful new BELLEViE GYM, high above the rooftops of the scenic city. Views extend from the distinctive dome of the adjacent Swiss Houses of Parliament to the historic old town quarter, and all the way to the distant Alpine peaks of the Bernese Oberland. 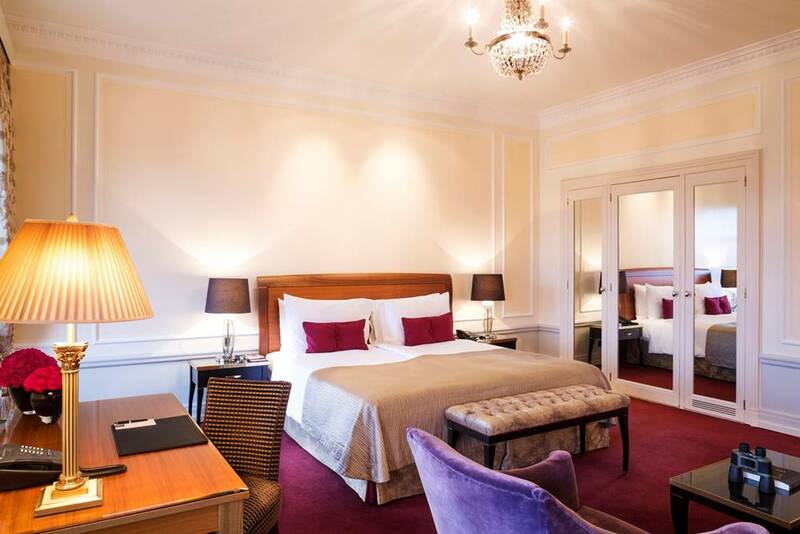 The BELLEVUE PALACE boasts an ideal location right next to the Bundeshaus (House of Parliaments), and convenient to shopping, businesses and the historic attractions of Bern’s medieval Old Town, with its four miles of charming covered arcades. 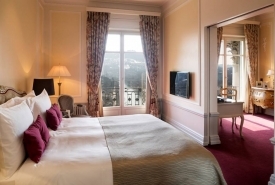 Guests can enjoy excursions to nearby Lucerne, Zermatt, Lake Geneva and more, then return to the hotel for one of the city’s finest dining experiences at the incomparable Restaurant VUE before retiring to the sumptuous comfort of their room. 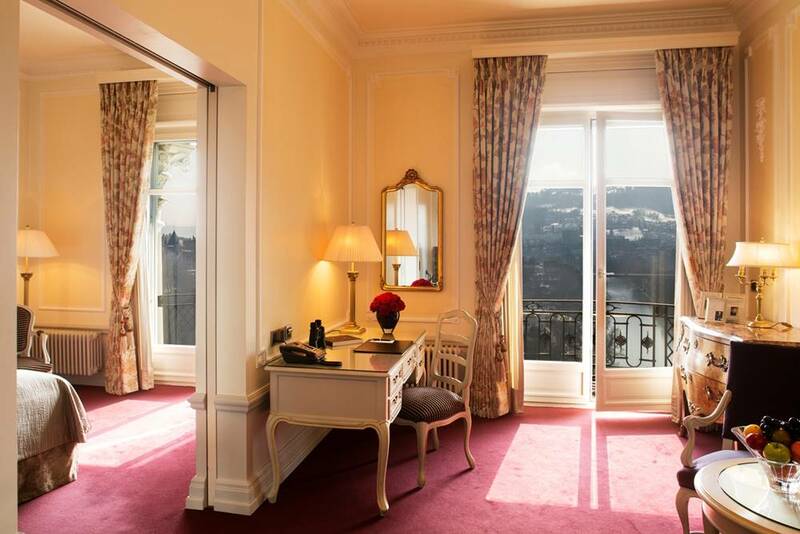 The Swiss Confederation’s official state guesthouse, The BELLEVUE PALACE celebrated its 100th anniversary in 2013. 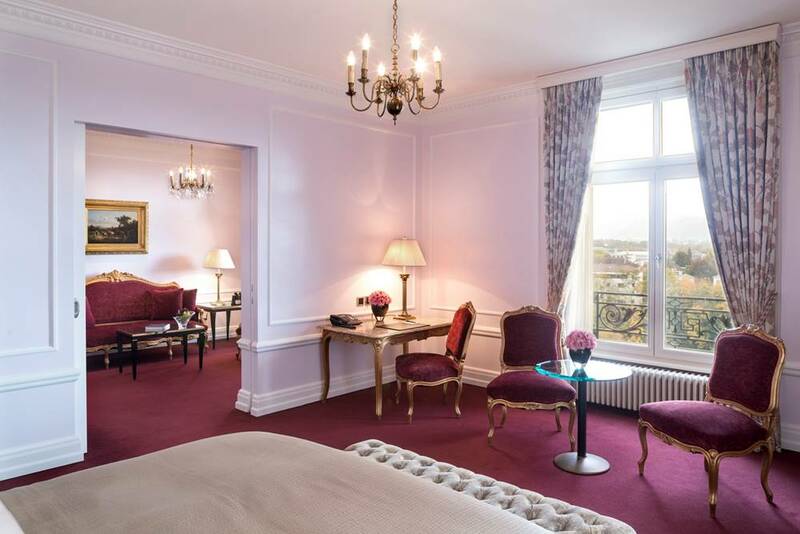 Countless pages of history were written in this historic hotel, which opened its archive for the occasion to reveal a glimpse into an eventful and legendary past. 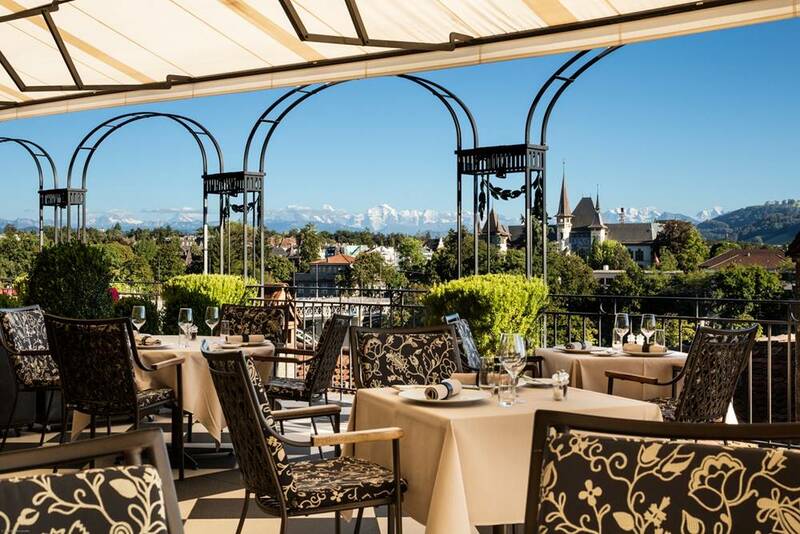 Restaurant VUE: Frommer’s travel guide has called dining on the terrace “one of the reasons to come to Bern.” Here, gourmet specialties compete with breathtaking views of the Aare River, the city and the snow-covered Alps beyond. And now, Restaurant VUE has concocted a novel way to connect guests with the action in the kitchen. An iPad, delivered to the table in an elegant black leather case, allows diners to watch their meal in progress via a webcam trained on every move of head chef Gregor Zimmermann and his team. 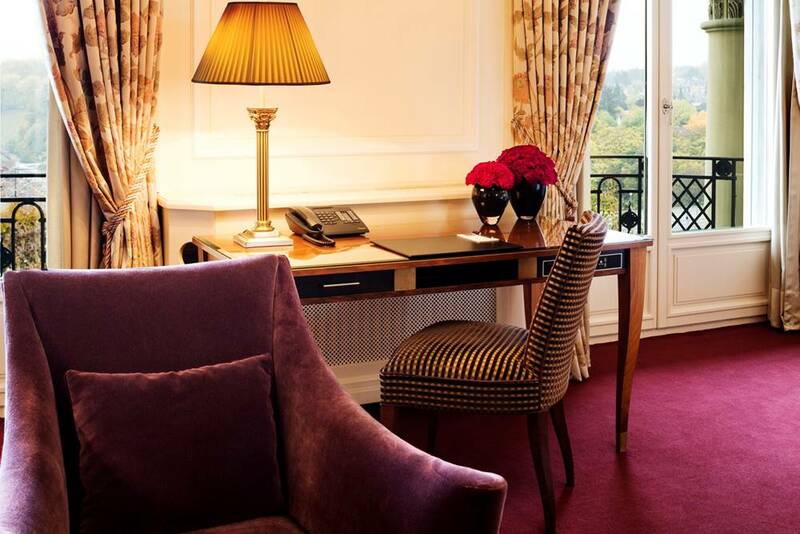 Guests also can digitally browse menus, cigar choices and the prestigious guest book of the Gault Millault-rated restaurant. Bellevue Bar: Couples linger over cocktails while the city’s movers and shakers – politicians, business executive and journalists – meet over fine liquors and cigars at this traditional hotel bar. With stunning views overlooking the rooftops of Bern, the historic old town, and the Swiss Alps, training sessions are a pleasure. 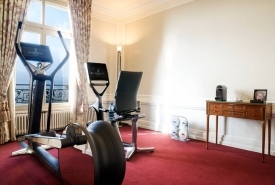 BELLEViE Gym is equipped with the most up-to-date training equipment, as well as a personal trainer on request. After your workout, relax in the lounge with self-service gym bar, in the Finnish Sauna or on the terrace with sun loungers. 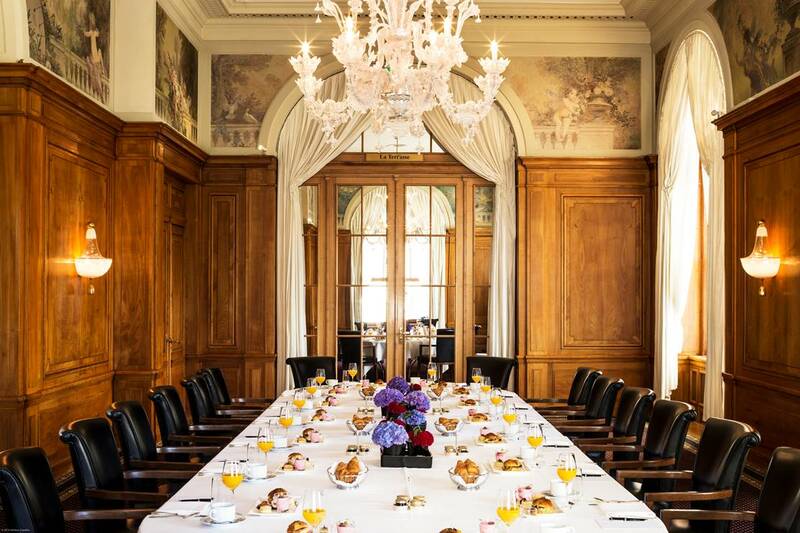 The BELLEVUE PALACE caters to high-level political and business gatherings as well as the city’s most refined social events. There are 12 elegant banquet and conference rooms, with plenty of natural lighting, accommodating groups as small as two and as large as 400 (up to 1,000 for cocktail receptions). 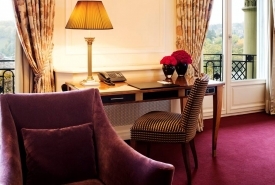 Service is strictly first-class and delivered with an eye for detail. Groups also benefit from state-of-the-art technical infrastructure, a stage for productions and a grand piano for concerts. 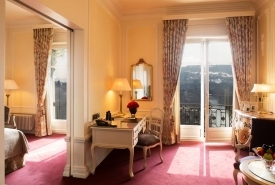 The BELLEVUE PALACE is ideally located for visitors who want to take advantage of the best Switzerland has to offer, from the quaint Old Town, world-class museums and shops of Bern to day trips out to the lakes and Alps of the Bernese Oberland, where active travelers can enjoy skiing, hiking and a wide range of other outdoor activities. 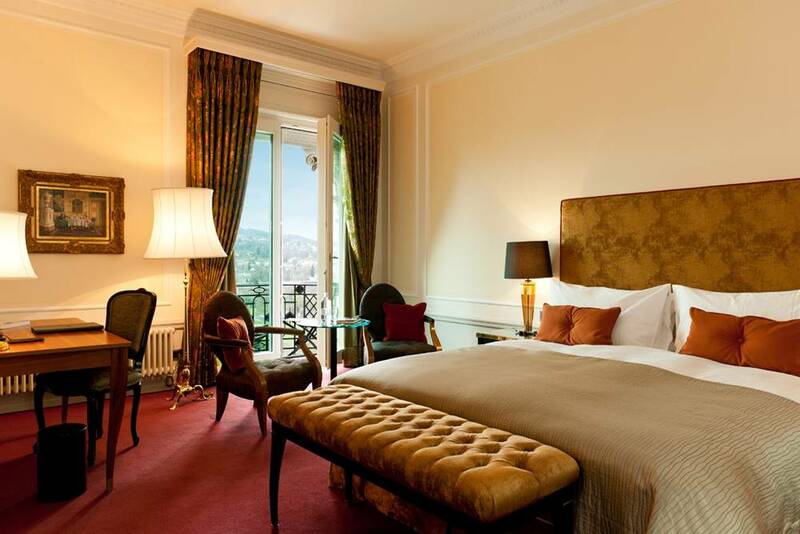 The myriad attractions of Zurich, Geneva and Lausanne are all within one to two hours of the city. 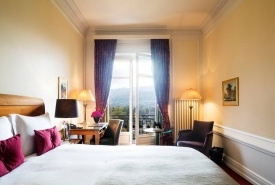 The hotel can arrange everything from theater and museum tickets to excursions beyond Bern. The official Guest House of the Swiss Confederation. Perfect Swiss hub – reach other major cities within one hour. 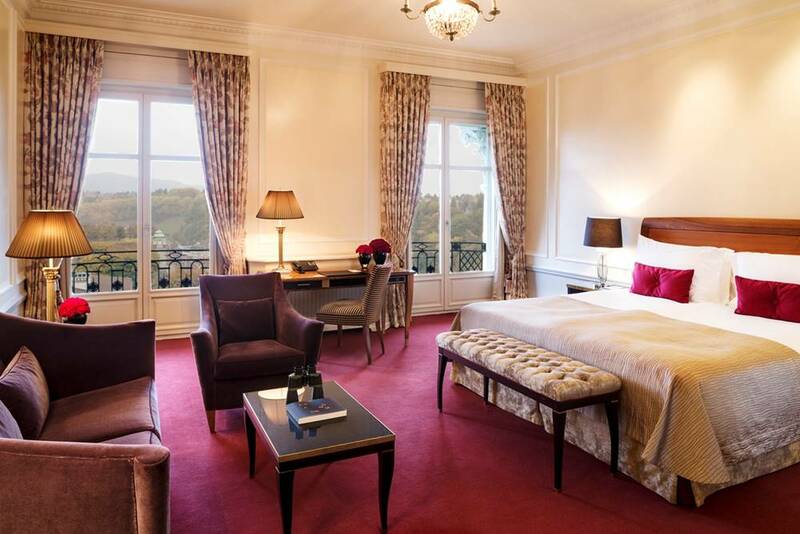 The only grand hotel in the Swiss capital city. 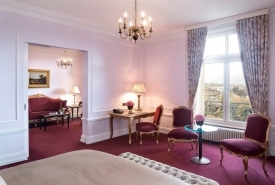 World-class views of the Bernese Alps and the River Aare. BELLEViE Gym and saunas with a rooftop terrace and wonderful mountain view. 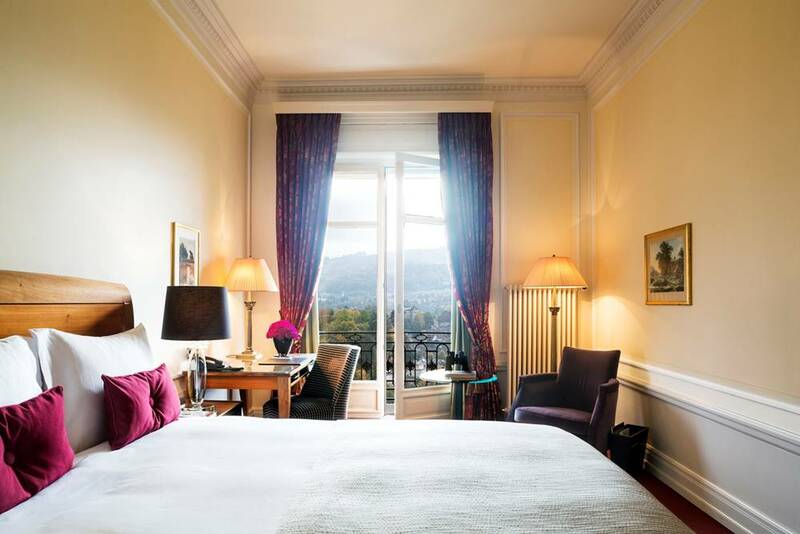 Set in the heart of historic Bern, a UNESCO World Cultural Heritage Site, near the House of Parliament. 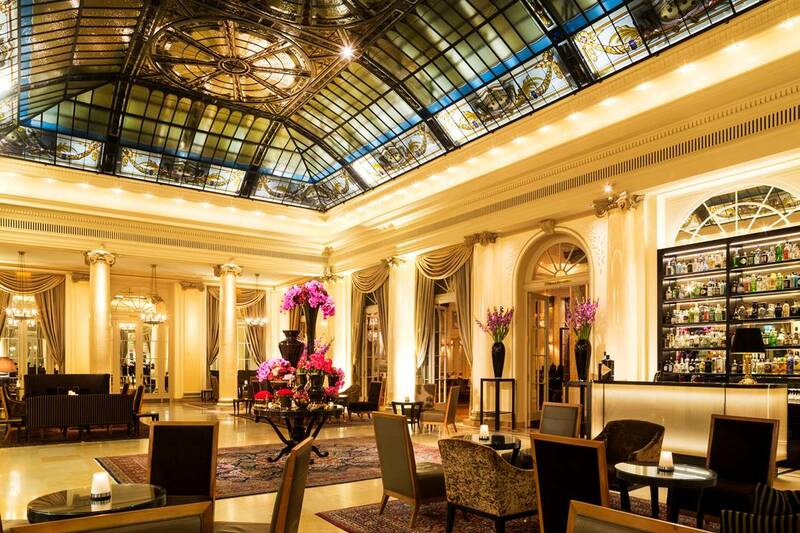 Authentic Belle Epoque architecture and contemporary ease — spacious and beautifully appointed salons and public areas that invite hotel guests to relax and mingle. Le Lobby with the Gin Gin Bar, specializing in gin and botanicals served under the lobby’s spectacular Art Nouveau stained glass roof. The Bellevue Bar, featured in John le Carre’s spy novel Our Kind of Traitor. Dating back to 1191, the beautiful and well-preserved Old Town is a UNESCO World Cultural Heritage site, full of charm, warmth and beauty. 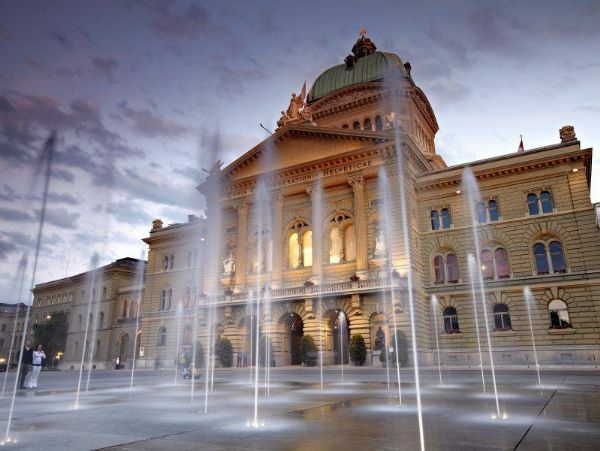 The Swiss capital city is the center of the nation’s democratic system and its Houses of Parliament are generally open to visitors. The Zytglogge artistic astronomical calendar clock created in 1530 – one of the most well-known and beautiful sights of Bern. 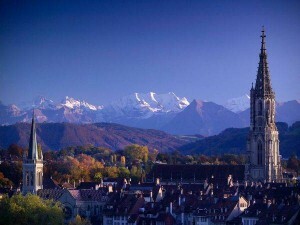 Bern’s central location puts Switzerland at visitors’ doorstep — gateway to the Swiss Alps and just a short distance from Zurich, Geneva, Basel, Lucerne, and Interlaken. “Boutique” town — enjoy a short stroll past medieval fountains, sandstone facades, narrow streets and towers to Old Town’s boutiques, bars, cabarets, and sidewalk cafes. Incomparable shopping at a variety of unique and stylish boutiques featuring high quality and often handmade goods and at colorful weekly markets in city squares; sheltered arcades make shopping an all-weather pursuit. 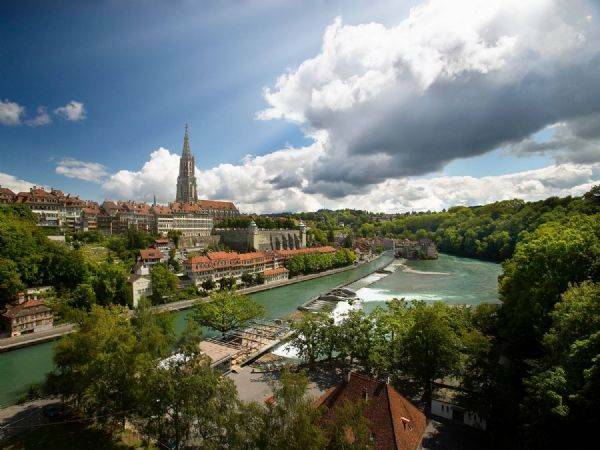 The river Aare recreation area in the center of town with jogging, strolling and urban swimming in summer. A wealth of stimulating and enriching arts and culture at the Zentrum Paul Klee, the Albert Einstein House and Einstein Museum, History Museum, Art Museum, Swiss Alpine Museum, and Communication Museum. Home to world-famous chocolate brands Toblerone and Lindt as well as Emmental cheese; a short distance from Gruyere, where guests can visit a cheese-making atelier and Maison de Chocolat Cailler for an unmistakably Swiss experience. Plentiful green spaces, from the Rose Garden and the Guten with their spectacular mountain views to the famous Barengraben bear pits to hiking and biking in Grantrisch Nature Park. 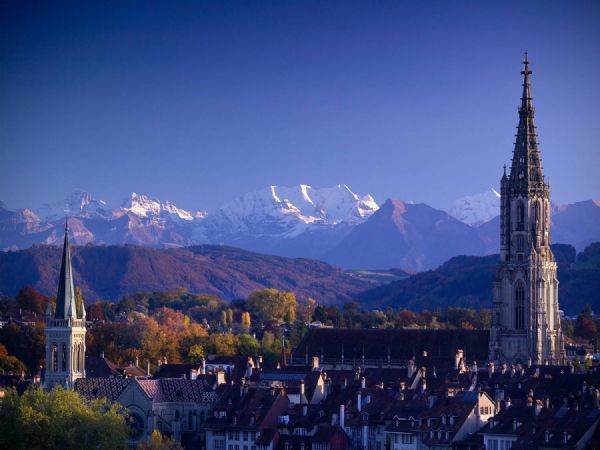 A region steeped in Swiss tradition — the rolling hills of Emmental, historic bell foundry, ancient castles and themed markets can all be explored from Bern. A hidden gem among Switzerland’s more touristed destinations, offering an “insider” Swiss experience.